'Tis the season for design and Houzz is very proud to announce our presence at designjunction, part of the London Design Festival! For those of you who haven't been before, designjunction is a leading contemporary interior design and culture event, held annually in London, Milan and New York. designjunction creates innovative design exhibitions within unusual, industrial spaces and this year, it will be taking over King's Cross from September 22nd to 25th! 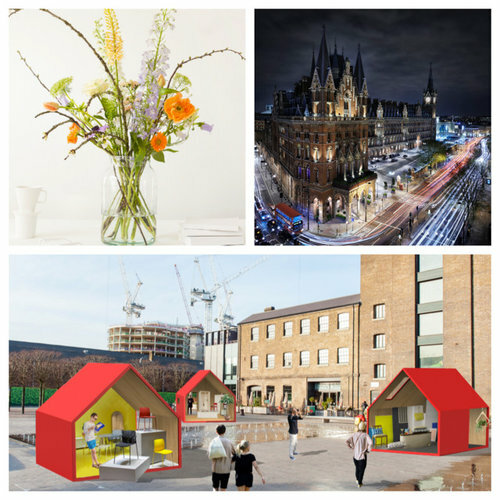 The Houzz team will be there, too, showcasing our #SmartHouzz concept on Granary Square. The pod has been furnished exclusively with the latest A/W John Lewis furniture and accessories and designed by Feioi and Houzz. We hope you can join us! To celebrate the London Design Festival and to give you a chance to experience the designjunction show, Houzz is giving away a two-night stay in London at the 5-star luxury St Pancras Renaissance Hotel, plus a one-hour design consultation with a professional on Houzz. Only one lucky Houzzer will be the winner of this grand prize, and one Houzzer will receive the runner-up prize: a monthly delivery of fresh flowers from Bloomon for a whole year, worth £324. Simply vote AND post a comment below telling us what your dream designer piece is and you'll be entered into a random prize draw. One grand prize winner and one runner-up will be drawn at random. See you at the #SmartHouzz! A special thank you goes to the team at Dulux Amazing Space who have made our #SmartHouzz pod really stand out - in a beautiful Houzz green! By registering your vote and adding a comment, you're agreeing to our competition terms and conditions. Has to be the anglepoise lamp with it's beautiful simple functionality. Eames lounge chair is a classic for me, I love it! It's got to be the Barcelona chair for me! The Alvar Aalto stool with back - love the shape and simplicity of the back rest. The Alvar Aalto stool - with back - such a beautiful shape. Brings the spotlight to the conversation! Barcelona chair and footstool- simple, sleek and sophisticated! No need to overthink great design. The coffee table! Beautiful, classic, simple design. Utter elegance. The anglepoise lamp is a timeless classic! the Mies Van Der Rahe, a design classic! The Barcelona chair--reminds me of classic Chanel pearls, always elegant yet trendy. The Barcelona--reminds me of Chanel pearls, always elegant yet trendy. It's got to be the Tolix chair for me. Symbolic of industrial design and iconic! Eames lounge chair for me. Love them. Eames lounge chair. Always wanted one. It has to be the Anglepoise lamp because of its engineering simplicity. 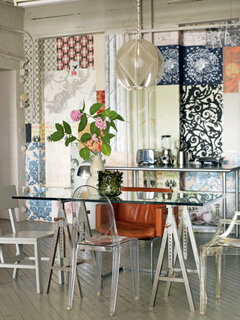 It's appeal is still in vogue today, whether at home or in a commercial setting. 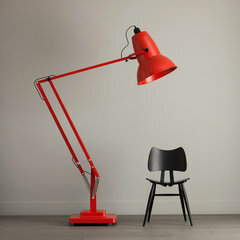 However, I am partial to the tall Anglepoise floor lamp. Looks lovely to relax in and read a book, although I would probably fall asleep in it! Wow, so many comments and votes! Thank you to all Houzzers and Houzzistas who participated - the competition is now closed! We have picked a winner and have notified them this morning. Even if you didn't win, I hope we'll see you at designjunction at the SmartHouzz! Womb chair! So stylish, yet so cosy. The ghost chair is an arguable classic! The Nelson platform bench is quite nice! Ghost chair for me. Simply beautiful! The Barcelona chair can slot in anywhere. I love the Twiggy Lamp by Foscarini. It would create such a warm atmosphere. Eames lounge chair is a classic because of comfort and beauty combined. 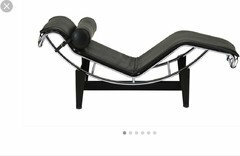 Chaise Longue Le Corbusier is to me the design that goes anywhere, bedroom, lounge, reading corner, library, study. An all times piece of furniture that will be an investment to pass on your family. Win a hamper - vote for your favourite summer-inspired interior! Houzz Advent Calendar: December 1st - Win an Anthropologie Basket! 2 bed apt in central London or 4 bed town house in suburbs? Comment to win a Miele appliance worth £1,000!